E-reader and book will have to find a way to co-exist. I spoke with book and it’s clear that it’s jealous of e-reader’s portability and adaptability, but snorted derisively its limited resolution and inability to display colour. E-reader responded by downloading the full bibliography of Stephen King and blowing a raspberry. Then book turned off the WiFi just to make a point about needing an infrastructure to function, but e-reader thought little of this as it perused its library of 598 books for something less snooze-worthy to listen to. Book then distracted e-reader with a full page glossy colour print of a turnip, and then punched him squarely in the screen. I left before it got ugly. E-reader ended up with a scratched screen and book without a back cover. Sigh… Kids these days. In many ways the discussion of which is better often boils down to preference. I won’t make a ruling here, as lifestyle choices support different ways of consuming literature. I happen to prefer a practical minimalist approach to books, which means getting the majority of my books in digital format. Others have a reverence for the physical item (I have that, it just doesn’t align with other choices), and have all their books on great big bookcases. And there are people that don’t read at all, those people are just sad. 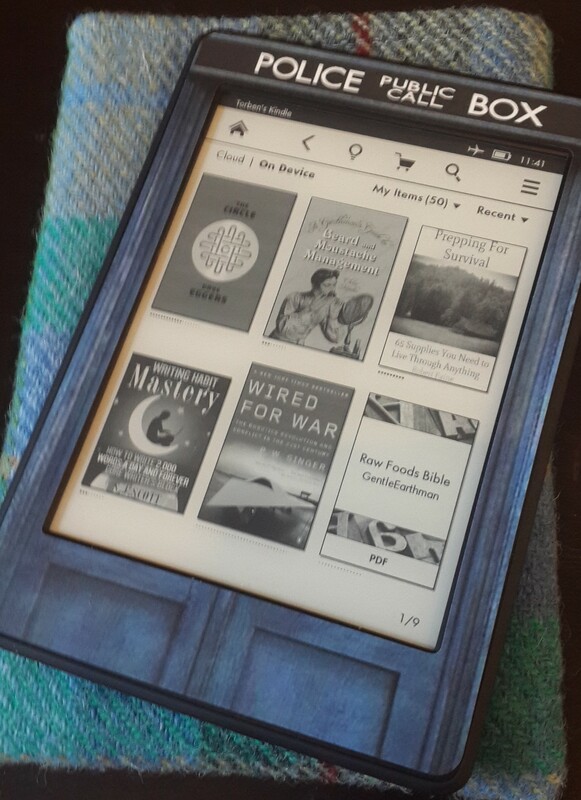 5 reasons to embrace the Kindle (or any other e-reader platform). The time when an unrecognised novice with little financial means had to go from publisher to publisher to beg for his or her genius to be put in paper form and distributed, is over. Now you can self-publish and promote your product via social media, joining an ever growing group of writers, that are free from limitations of being suitable for publication. The time when an unrecognised genius with little financial means had to go from publisher to publisher to beg for his or her genius to be put in paper form and distributed is over. Now you can self-publish and do promotion via social media, joining an ever growing group of writers, that are free from the publisher limitation. Not without its limitations, naturally. I have 500 books in my pocket and untold numbers available on demand, with lower prices and a larger selection than any real world book store. I can have a massive library on my Kindle that won’t crack my back when I move house. It’s light, works for weeks on a single charge and is pretty resilient (dropped mine down a set of stairs once). Whether you like reading “Fifty Sheds of Grey” or “Mein Kampf”, or any other controversial/ banned/ embarrassing piece of literature, you can do so without people judging you. Just don’t read it out loud. A work can now be updated to fit current events, chapters can be added to make a story more comprehensive, typos and grammar issues can be fixed, and overzealous auto-correcting can be corrected. This flexibility adds a new element to the idea of a written work, and allows for further refinement of existing works. Unless you’re George Lucas, you are not allowed. Yes, you can side-load your own pdf, epub and mobi formats onto your reader, but if you’re anything like me you will get the majority of your books from Amazon. Bothering with converting other formats for Kindle and committing them to the Amazon system is just a step too much. Workarounds exist, but they are cumbersome. Not only that, writers or publishers that don’t want to play ball with Amazon will be unavailable. Big chain book stores serve their purpose, but I fear for the small independent book store. The ones that smells like coffee, dust and home don’t stock all the best sellers but have a bunch of niche pieces hidden in crevices you never thought could hold that many copies of The Dark Tower by Mr King, and often cater to more esoteric tastes and audiences. If every book ever is available on-line, then why would you ever need to go to a book store? Sure, for book signings and maybe public readings, but does it have to be in a book store? A full bookcase is beautiful. It has gravitas, a presence that a Kindle cannot have, it muffles the room and demands attention from people. It’s an expression of interests, of taste and thinking. 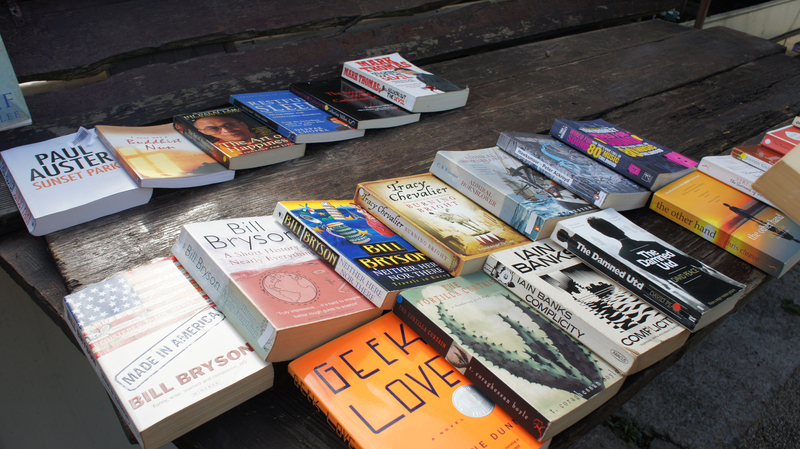 I have no idea how many times I have rearranged by books by interest, title, author, height, colour, taste and smell, only to start again. You may judge me by mine, and I will judge you by yours. And… it’s an excellent conversation starter. My Kindle is fantastic. But adding notes is a pain. And that pain is not offset by the fact that they are backed up on-line. As any student knows, underlining and scribbling in the margins and decorating a book with post-its is vital to the learning process. And fun. My Pierre Bourdieu books were artful displays of colour and commentary, and practical during my thesis writing. Disregarding mental people with liberal access to scissors, pens and glue plus an abundance of spare time, books are pretty permanent. There is no take-backs when it comes to the published written word. Be it The Wicked Bible or a rather unfortunate application of spell-checking (at least I hope so), the content is there to stay. References to physical works remain long after their digital counterparts have been lost to a server outage. And if you think updating an existing work can be a good thing, then remember what George Lucas did to the original Star Wars trilogy. Like any other media product, the various forms will find their own niche market to serve. Print will never be killed off and the e-reader will never replace it. It’s notable that purist often argue that the paper book is superior, while rarely giving a better argument than “it just smells right”, which is a by-product of chemical breakdown. And I’m not convinced it’s a good one. On the other hand, Amazon knows what I’m reading and I’m sure they track which non-Amazon books I have, which doesn’t sit well with me either. That’s it, I have to go. Book has been eyeing the hairline crack in e-reader’s plastic shell, and seems a little too interested in the blunt items near him. But what do you think? Is the e-reader too niche market oriented, or could it replace paper? Or should I just resign myself to reading on my tablet and give up on proper sleep? Let me know.